I have a long post today as I have two cards to share, one of sweet Tilda & one of Vintage Violet so I'll get straight down to the important stuff. The papers I've used are Pion, the sentiment is by Paper Make Up & hopefully I have linked everything else in Inlinkz and not forgotten anything! Here's a few close up's of those lovely sparkly embellies. 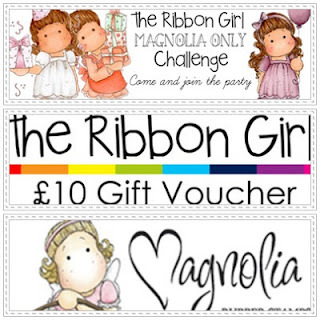 There are two fabby prizes up for grabs, a £10 voucher for The Ribbon Girl & also 1 x Magnolia stamp from Magnolia Sweden. I haven't entered challenges for ages, occasionally I link them but never seem to get around to actually entering them so I'm attempting to make more effort and get my blogging back on track! I thought I would colour up one of my many neglected Saturated Canary digis for a change and I have used the super cute Vintage Violet. 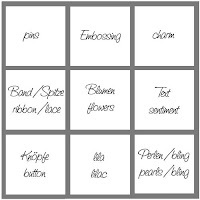 I've used the middle row across - lace, flowers and sentiment. The papers I've used on this card are Maja Design & the cute handbag charm is from my stash. The lovely green cut out leaves are also one of Simon's new exclusive dies and the sentiment is another new product in the exclusives range & in all honesty I love them all and you will be seeing more of them from me very soon. Sorry for picture overload in this post peeps & I still have one more I want to share as today is the first time I have blogged since the horrific murder of one of our brave soldiers Lee Rigby on Wednesday. I am sure like everyone else I stared at the TV in horror, not quite believing what I had just seen & heard. 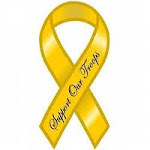 I've displayed the Support Our Soldiers (SOS) ribbon & Help For Hero's badges in my sidebar for as long as I've had my blog showing my support for friends & family either serving or who have served in the British forces. Jodie's friend Zack is currently on tour in Afghanistan & he was so upset & angry when Jode spoke to him on Wednesday night, Zack said the mood in camp went from upbeat & optimistic to one he hopes he will never experience again so they really need our support now more than ever. There is a collection in Lee Rigby's name for Help For Hero's if anyone wishes to donate to this worthwhile cause. 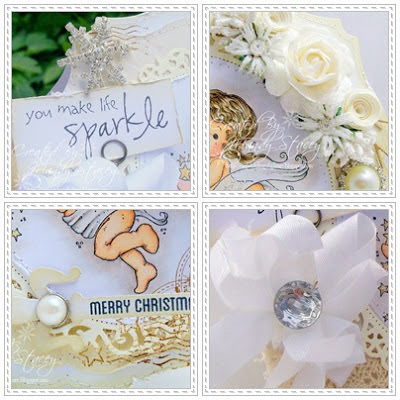 Gorgeous cards Mandy, love the sparkle!! Wow Mandy. Both your cards are absolutely stunning. Awesome creations Mandy with beautiful designs. I just love the softness of the designs and colouring. Wow this is so beautiful love your cards. Gooorgeous cards Mandy, they are simply stunning as usual. Great to have you at TRG. Gorgeous cards, Mandy. I love the shape of the first one and the flower arrangement on the second is fabulous. Great cards Mandy! So you! Love all the embellishing you did and of course your coloring, it is amazing as always. I can sooo much relate to your feelings about the horrific murder of Lee Rigby! My brother in law serves as an officer in the U.S.Airforce and has served his country and many people/ civillians all over the world. Makes you wonder why no one stepped in to help the poor soldier! Maybe one person couldn't have done it, but there were so many people out there at that very moment and I just kept wondering if all those people would have acted as one man, maybe, just maybe the soldier could have been saved! I feel so sorry for his family too! Your cards are FAB as always! Both creations are so very beautiful! Loving the floral arrangement and those beautiful pins! Both cards are absolutely beautiful, Mandy! I love all your adorable details! A fab bright and cheerful Birthday card Mandy. Two stunning cards, the detail you get on there is amazing! I love them both! Your cards are beautiful! 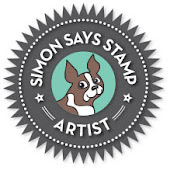 Thanks for joining us at Sweet Stampin' this week. Sorry my previous comment was done in error so please delete! Huge apolgies! 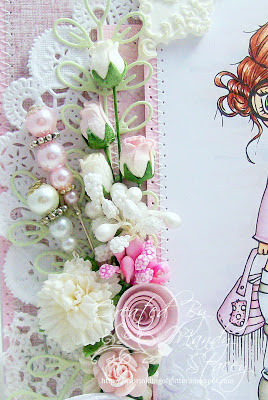 What a beautiful card and great creative use of flowers! Thank you for joining in the Creative Belli Challenge. 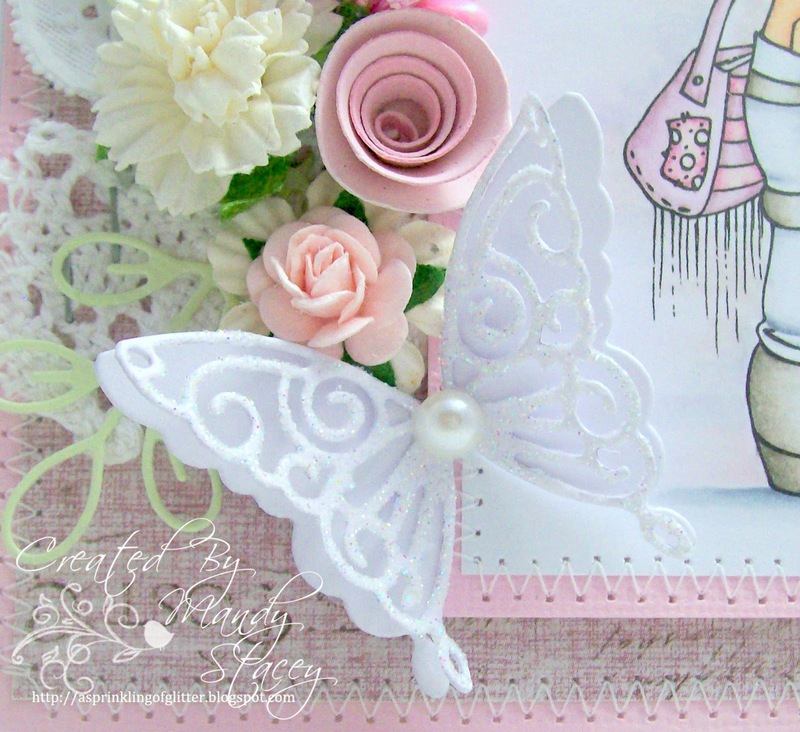 Both cards are absolutely gorgeous Mandy...Thanks for playing along with us at Totally Papercrafts this week. Thanks for joining us at The Paper Shelter challenges. A cute make! Love the flower embellies! Adorable little angel card - love your white on white (or ivory on ivory!) 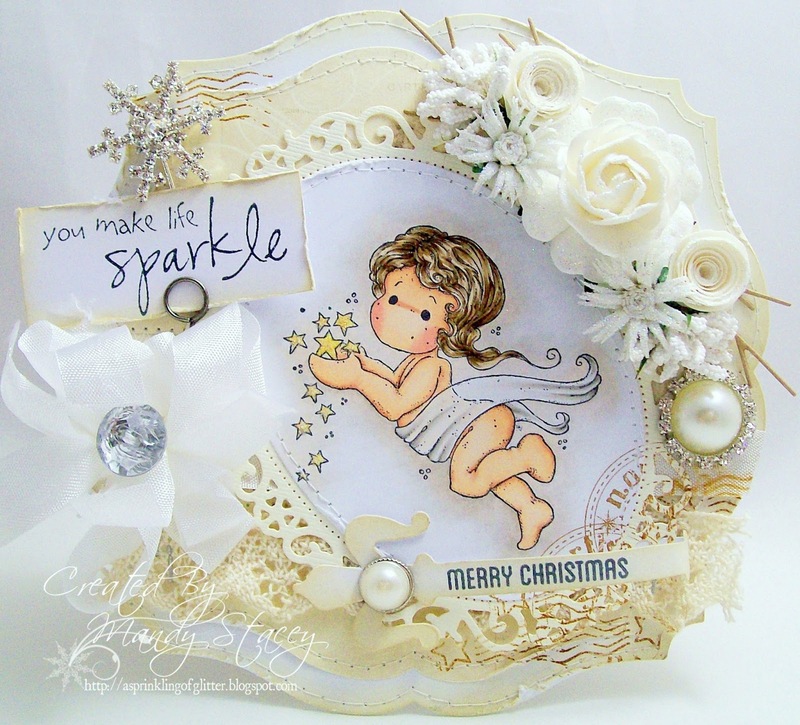 embellishing - beautiful! Thanks for playing along with us at Our Creative Corner. WOW Mandy, both cards are absolutely stunning! 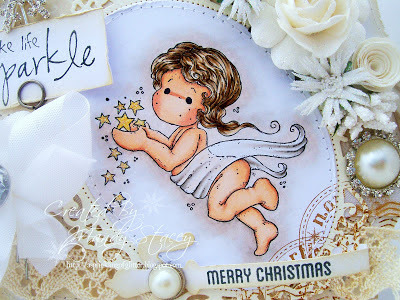 Such sweet image and your embellishments are gorgeous, I love them both! Thanks for joining us at Crafty Calender this month! Very pretty. Thanks for playing at Digi Haven. Superb Christmas card Mandy, gorgeous Tilda and I love your other card too. Wow Mandy these are bThankyou for joining in with the Allsorts 4th Birthday Challenge. I hope that you can pop by again. Jo xoth stunning pieces of work. Your cards are stunning as always Mandy!! I looooove the first one.. It's just perfect.. 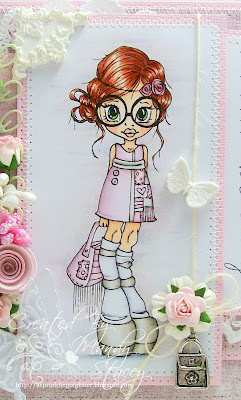 Thanks for joining us in this weeek's Tilda's Town challenge..